Groundbreaking is slated to begin Wednesday afternoon to transform the now-defunct Agnews Developmental Center, once referred to as "The Great Asylum for the Insane," into a park and two schools, thus erasing a physical remembrance of Silicon Valley's controversial past. 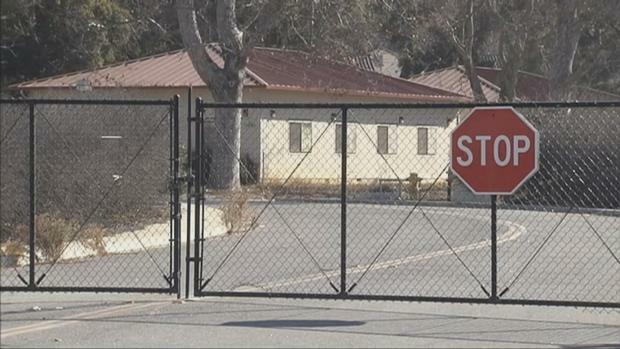 Two years ago, the Santa Clara Unified School District and the city of San Jose joined forces to buy the $76-million dollar property that includes the historic Agnews Developmental Center on Zanker Road. The joint project includes plans to build an elementary, middle and high school. School district spokeswoman Jennifer Dericco said Wednesday that the campuses are slated to open in fall 2019. Dericco said that $200 million of a $419 million bond measure passed in 2014 is being used to build the three campuses, which are not named yet. First opened in 1888 under the name Agnews Residential Facility, the institution closed in 2009 as the Agnews Developmental Center. It was one of the few state-run centers that housed people with mental and physical disabilities and was recorded in the National Register of Historic Places, under the name, "Agnews Insane Asylum," in 1997. During its 120 years of existence, the center experienced many problems and controversies. In 1999, for example, the state recommended decertifying the center, after the Department of Health documented many examples of residents hurting themselves, unsanitary conditions and a lack of activities. Sun Microsystems, which is now owned by Oracle, bought much of the land in the 1990s. The last patient left Agnews in 2009, and many of the center’s former residents were sent to live at group homes throughout the county and state. In 2014, the city and school district celebrated buying 81 acres of the remaining land, and spent the last two years ridding the property of toxins in the soil, the Mercury News reported. There is now a small museum in Santa Clara on Hope Drive, the Agnews Historic Cemetery & Museum, paying homage to Agnews’ storied history within the fabric of Silicon Valley.